Choose from a wide variety of accommodations and championship courses designed by some of the games legends such as Robert Trent Jones and Jack Nicklaus. 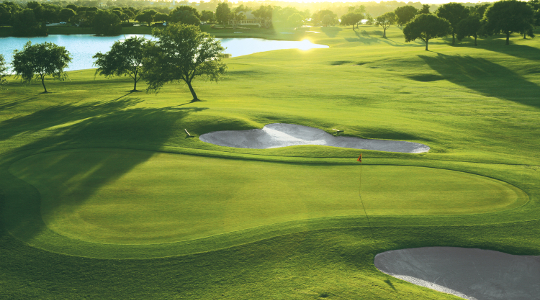 Visit our golf course listing page to learn more about some of Orlando’s most popular golf courses. Orlando has great accommodation options from spacious multi-bedroom condos and Luxurious Resort Hotels to quality economy hotels there as an option and price range perfect for every golf group. Orlando Florida Golf Packages has partnered with several of Orlando’s top golf resorts; Grand Beach; Mystic Dunes; and Liki Tiki. All have multi bedroom villa style units with large living room and full kitchens. We can offer a variety of trips that fit into all budgets and accommodate all group sizes from 1 to 100 including golf only quotes for those that already have accommodations. Request a Quote Today We Make It Easy!